Sheep have very good memories. They can remember at least 50 individual sheep and humans for years. They do this by using a similar neural process and part of the brain that humans use to remember. Sheep have been shown to display emotions, some of which can be studied by observing the position of their ears. Contrary to popular misconception, sheep are extremely intelligent animals capable of problem solving. They are considered to have a similar IQ level to cattle and are nearly as clever as pigs. Like various other species including humans, sheep make different vocalizations to communicate different emotions. They also display and recognize emotion by facial expressions. Sheep are known to self-medicate when they have some illnesses. They will eat specific plants when ill that can cure them. Sheep are precocial (highly independent from birth) and gregarious (like to be in a group). Female sheep (ewes) are very caring mothers and form deep bonds with their lambs that can recognize them by their call (bleat) when they wander too far away. Sheep, have you any wool? Sheep were among the first animals to be domesticated, and they are raised all over the world. 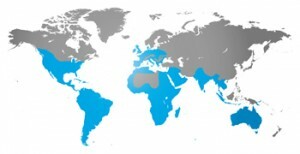 Wild sheep also live throughout the world — in the Middle East, Asia, Central Europe and North America — mostly in mountainous areas. Sheep are social, but usually only with their own gender. Males have their own herds called bachelor herds. These herds usually contain five to 50 rams at one time. The females live in nursery herds. Nursery herds can have five to 100 members that include adult females and their young. China has the largest number of sheep in the world. 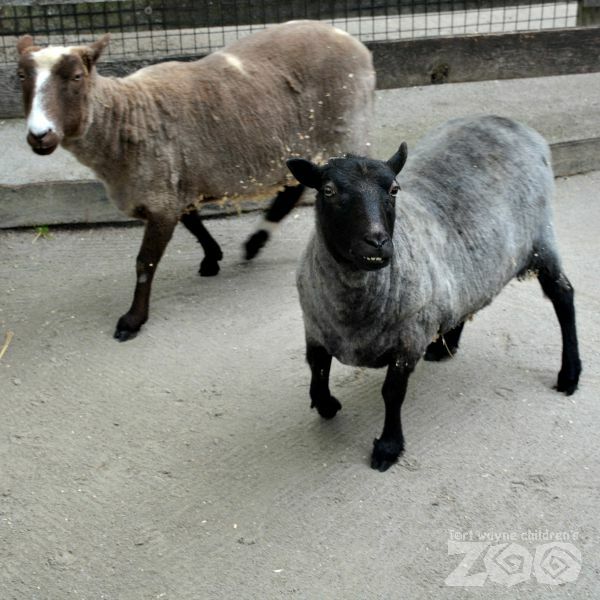 Adult female sheep are known as ewes. 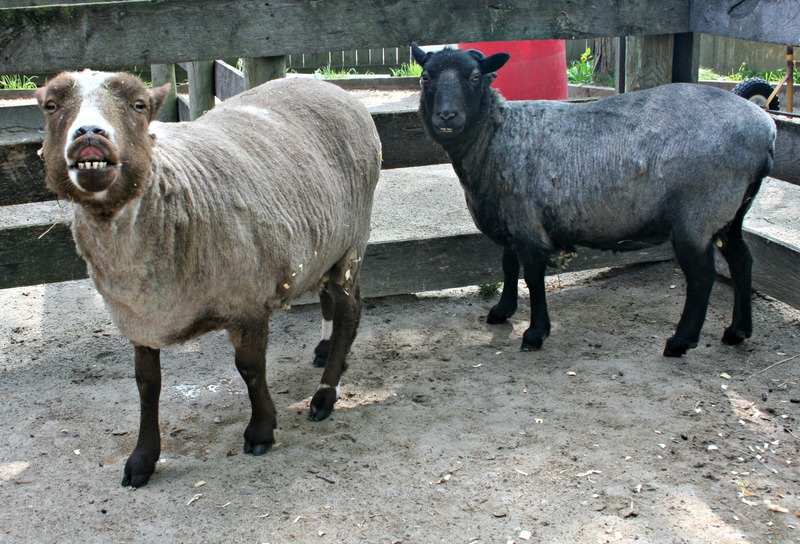 Adult male sheep are known as rams. Castrated adult male sheep are known as wethers. A group of sheep is known as a herd, flock or mob. Young sheep are called lambs. Sheep have a field of vision of around 300 degrees, allowing them to see behind themselves without having to turn their head. Sheep are herbivores that eat vegetation such as grass. The digestive system of sheep features four chambers which help break down what they eat. Sheep like to stay close to others in a herd which makes them easier to move together to new pastures. In 1996, a sheep named Dolly was the first mammal to be cloned from a somatic cell. Domesticated sheep are raised for a number of agricultural products including fleece and meat. Approximately 90 percent of the world’s sheep produce wool. One sheep produces anywhere from 2 to 30 pounds of wool annually. The wool from one sheep is called a fleece, from many sheep, a clip. The amount of wool that a sheep produces depends upon its breed, genetics, nutrition, and shearing interval. Lambs produce less wool than mature animals. Due to their larger size, rams usually produce more wool than ewes of the same breed or type. Counting sheep is a mental exercise used in some cultures as a means of putting oneself to sleep. In most depictions of the activity, the practitioner envisions an endless series of identical white sheep jumping over a fence, while counting them as they do so. The idea, presumably, is to induce boredom while occupying the mind with something simple, repetitive, and rhythmic, all of which are known to help humans sleep. Sheep are common domestic animals.